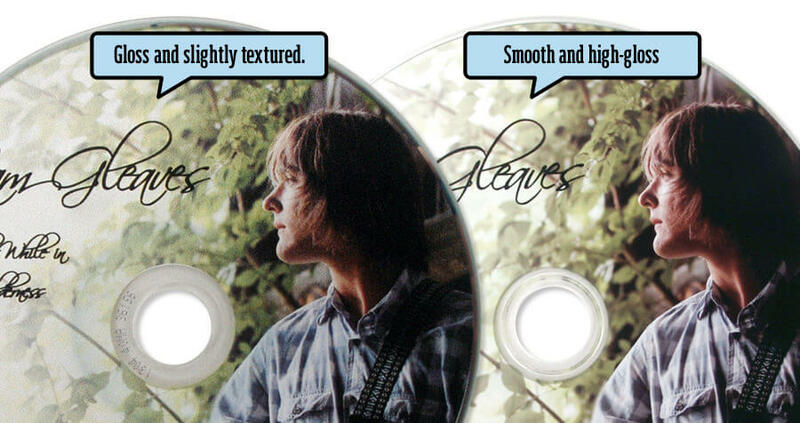 Finish: This UV printing process will give your discs a textured look similar to a gloss finish. Designs can have a granular, pixilated finish due to the characteristics of this printing style. Coverage: 2 mm silver ring around the outside edge. Classic Glossy Full Color On-Disc Printing is a thermal transfer printing process that produces photorealistic designs directly on to the surface of your discs. Our highest quality disc printing option for duplication orders!